Backyard Patio | Smith Wilbert Inc. Using Redi-Rock pavers for a patio couldn’t be easier. 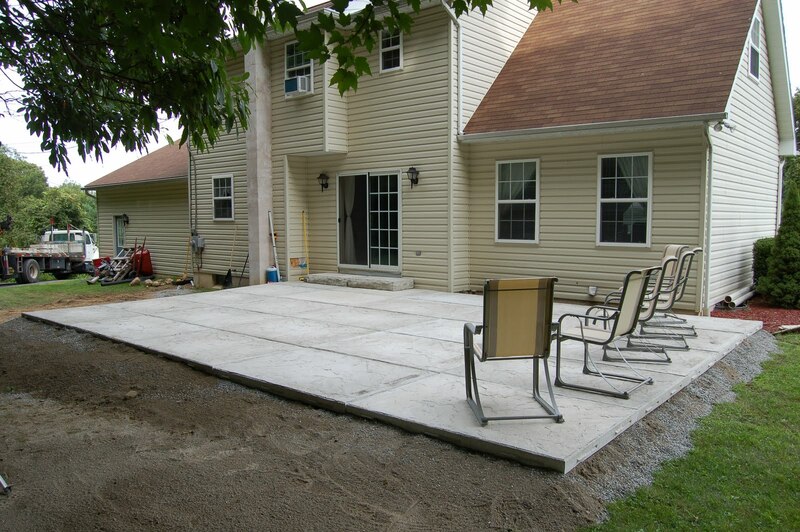 Just level the ground with sand/gravel, and set them in place. Kinda like an instant patio. I’m sure the homeowners will enjoy their time relaxing and entertaining on this new feature of the home. Of course, some grass seed will follow.